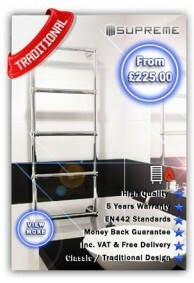 Small but very beautiful selection of traditional & classic design towel radiators to suit any old-school bathroom. 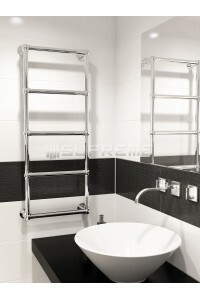 These radiators are made from chromated steel pipes. Unfortunately, they cannot be used electrically but must be connected to the central heating system. For further information please see the individual product descriptions. 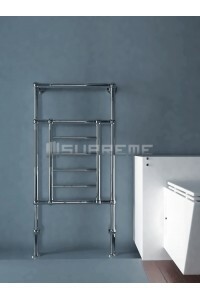 Our Supreme traditional bathroom radiators with classic convenience design and European quality is perfect for any bathroom. Each of our traditional radiator is handmade with diligence and care, ensuring that your product is of excellent quality and durability. Due to the individually crafted nature of the product, the measurements may vary by 0.5cm. 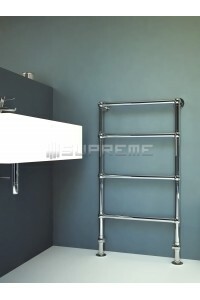 Each tube is welded to the frame in a seamless manner that provides clean lines and a long-lasting product. Our classic towel radiator collection is available in three separate designs, sizes and in chrome to match any traditional style bathroom.